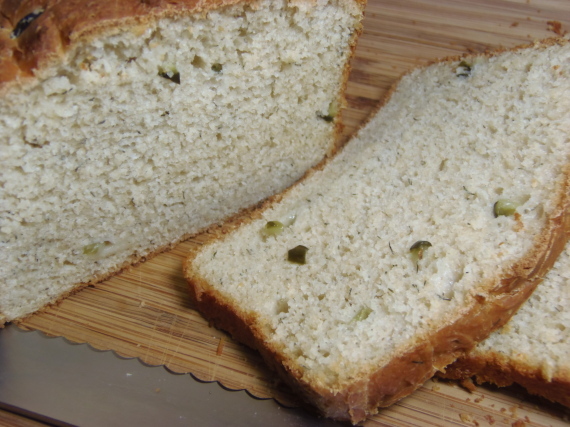 This bread has a very rich taste with a mild and unexpected tang from the tzatziki sauce. I wanted to round out the flavors just slightly with the addition of the whole wheat flour and to give the bread just a little more body and structure. I was VERY pleased with the results. The presentation and ease of slicing was pure perfection! -In a small bowl, combine the water, yeast and sugar. Stir to dissolve the yeast. -Allow to sit for 5 minutes to proof and get foamy. 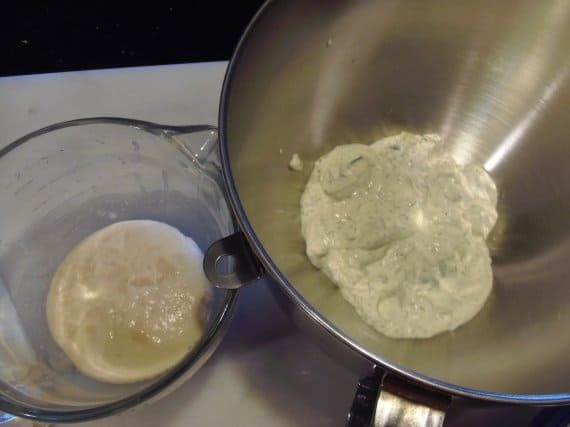 -In the bowl of a stand mixer (or big bowl with a wooden spoon), combine the tzatziki sauce along with the yeast mixture. Blend to combine. 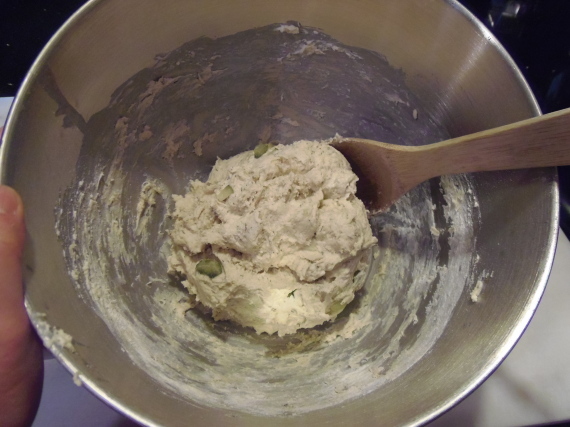 -In a large bowl, add the all purpose flour, wheat flour, salt and baking soda. Whisk to combine. 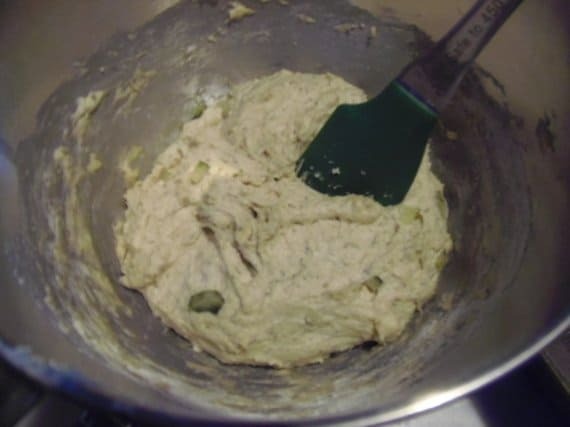 -Using the dough hook (or wooden spoon) add the flour mixture to the yeast mixture and knead (stir vigorously) until all the ingredients are well combined. This may take a little while so be patient. 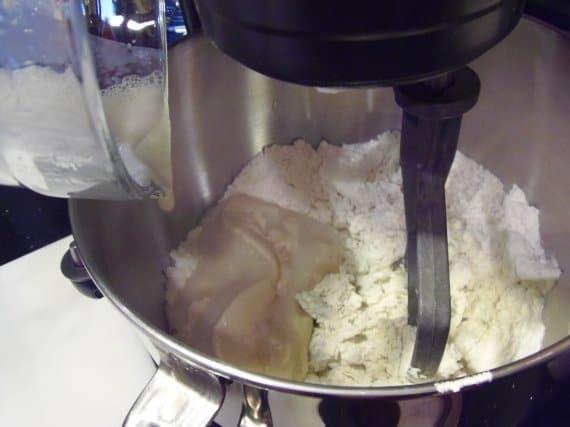 -The dough will remain slightly loose and sticky but this is the texture you’re looking for. This is not a firm dough. 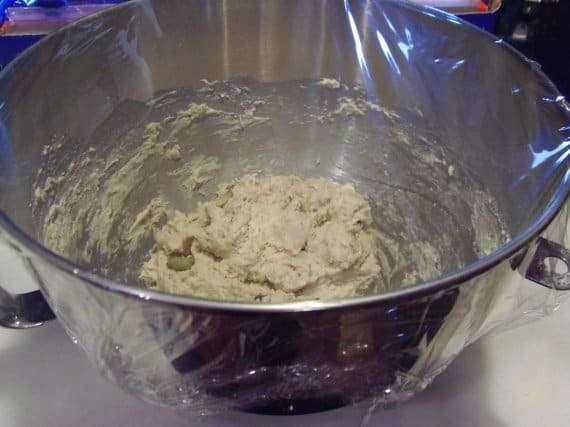 -Cover the bowl with plastic wrap and allow it to rest in a warm place until almost doubled (about 1 hour). -Prepare a loaf pan with cooking spray and turn the dough out into the pan making sure to level the dough as best you can. 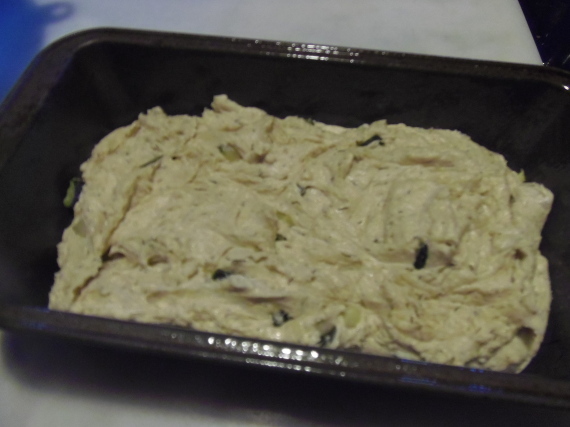 -Return the dough to a warm location and allow to rest (and rise) again for an additional hour. 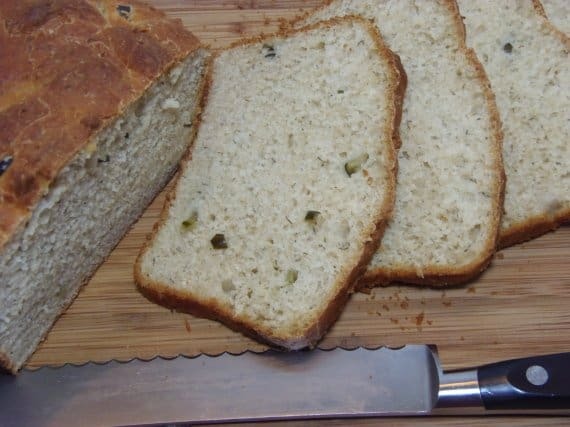 -Bake the bread for approximately 40-45 minutes or until the loaf is nice and golden brown and it sounds hallow when tapped on the top. -Allow to cool completely before slicing. I’ve completely enjoyed my time spent with #TwelveLoaves and look forward to seeing what new and exciting challenges lay ahead for 2013. Would you like to bake along with us? 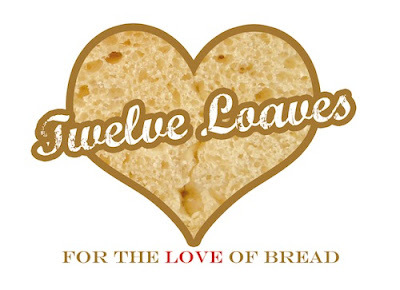 The #TwelveLoaves bread baking project was created by Lora atCake Duchess; a monthly baking adventure created for the love of bread. Drop Lora a line to join in on this monthly bread baking fun! Follow @TwelveLoaves on Twitter and see what’s freshly baked for #TwelveLoaves on our growing Pinterest board. I've been waiting for this! It looks great Renee. 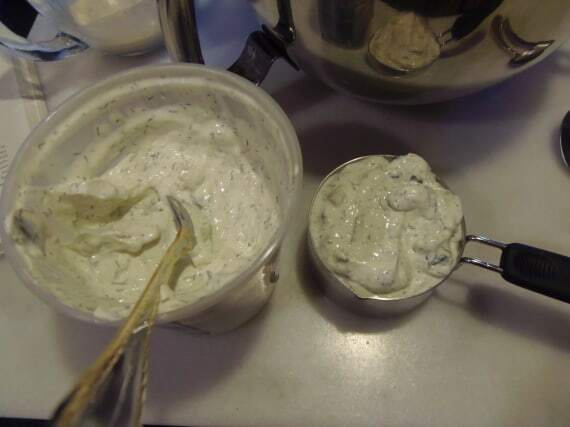 I love Tzatziki! I'm thinking that this bread would probably be great sliced into thin strips, toasted and served up as appetizers with brie etc. on it too. I'm guessing from the amount of flour used in the recipe that this will only make one loaf? You know, it's funny. The original recipe said this would make 2 loaves. This was my third attempt at making this bread. The original recipe was called Sour Cream Bread. My first two attempts at making it, I stuck with the original recipe thinking I MUST have done something wrong. 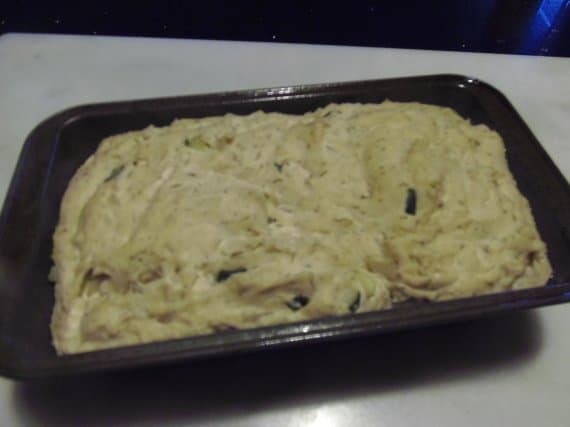 The dough didn't rise at all and I'd trustingly split the dough between the two pans (like the recipe called for) and they were pathetic looking little flat loaves. Boo. I think the recipe was written wrong. 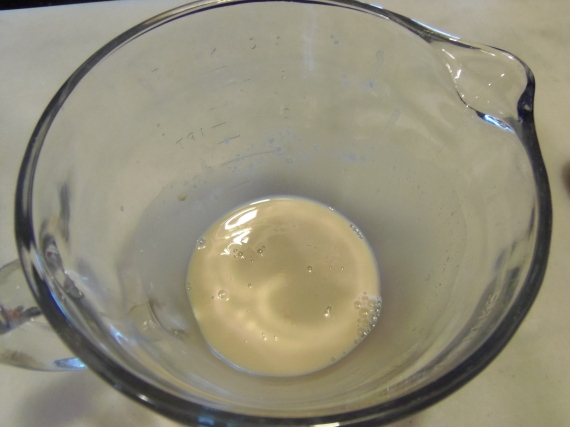 In the first step, when you dissolve the yeast in the water with the sugar, it called for 3 tablespoons of sugar. I think that much sugar literally killed the yeast right off the bat. I thought it was an incredible amount of sugar for that stage, but I figured I follow the recipe. After all, who am I to second guess James Beard? Renee – LOVE this. Great loaf idea. What an intriguing idea for bread! 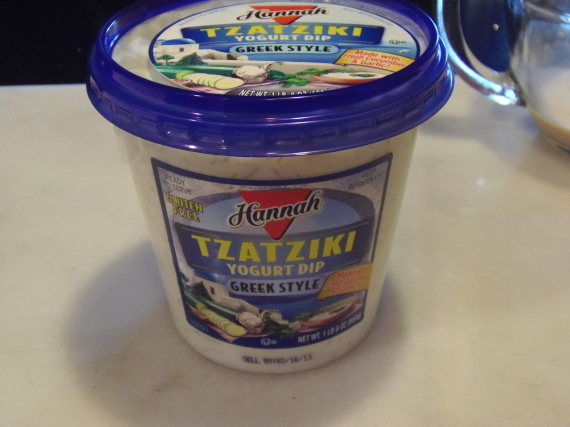 I'm certain the tzatziki gave an amazing flavor to your loaf! Many thanks for posting this recipe. It was like finding a needle in a haystack. I just knew I couldn't be the only person with this idea. 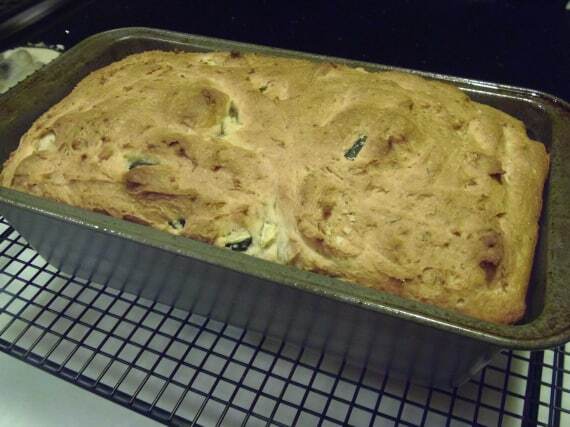 The bread turned out well and taste like Tzatziki. Next time, I think I'll add a teaspoon or so of honey just to sweeten it a bit more. Thanks again!! !